I learned early on that when undertaking such a big project involving 93 different people pertaining to a 130-year old prison, that organization is critical. 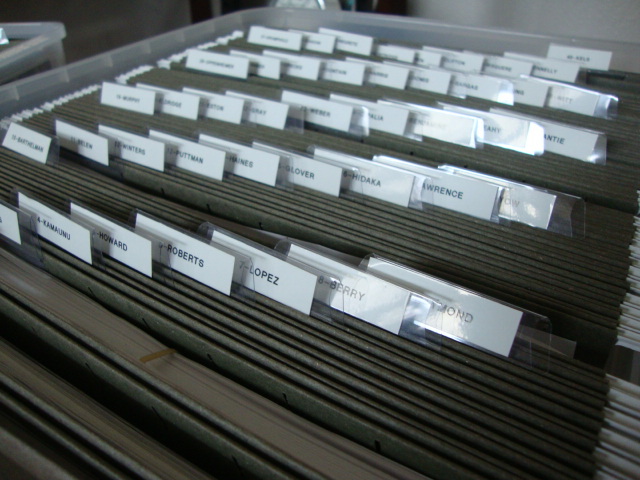 Luckily, I have an affinity for organizing stuff. Give me a label maker and within hours, I’ll have your life (and its contents) conveniently identified with neat, white labels. 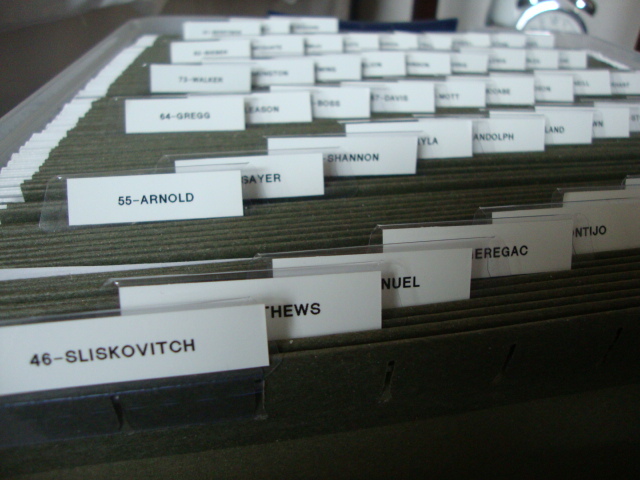 I have two large file boxes (check out those handy labels) filled with 93 dead guys. Or, shall I say, their info. Everything relating to the inmate goes into the file, including feedback from my critique group when I submit a story. It all goes in there. 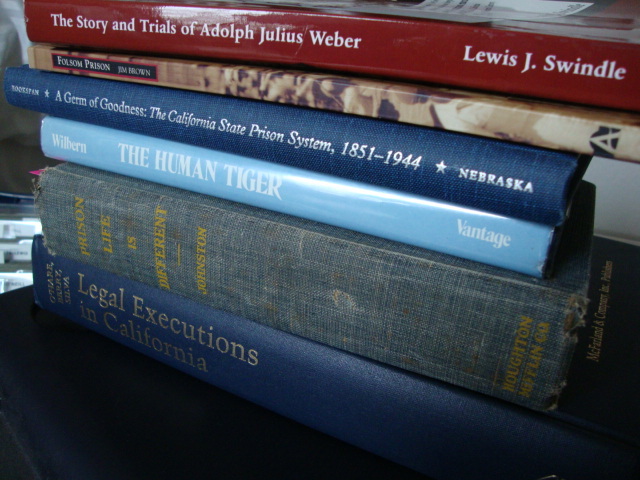 These books are invaluable to my research. 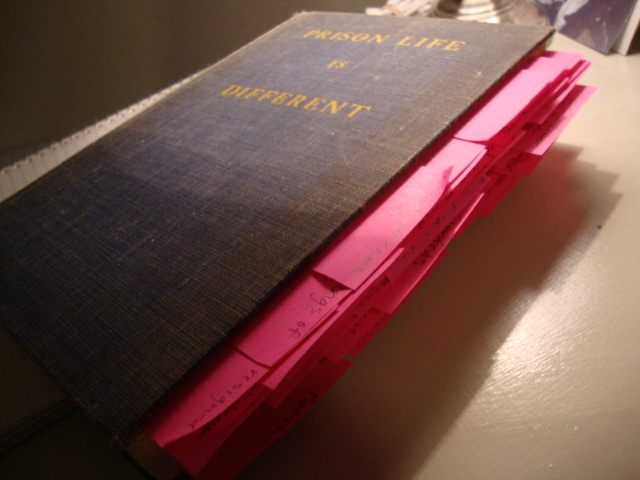 The one I’m currently tackling is Prison Life is Different, by James A. Johnson, one-time warden of Folsom prison. Throughout my research, I have found that most information is consistent, but there are times when I discover mistakes and errors in books. First, I raise an eyebrow, then I consult my notes and sources, then I yell “Ah-ha!” and end it by acting smug for the rest of the day. C’mon, who doesn’t like being right? This process can also be frustrating. I run into dead ends and brick walls and answers to my questions aren’t easily found at times. I’m lucky to have the helpful staff (on speed dial) at the Folsom Prison Museum to aid in my research. I have close to a million words (I’m not kidding) of notes and everyday, little by little, those words turn into pages of a book. I’m getting there—with the help of my label maker and Post-it notes. 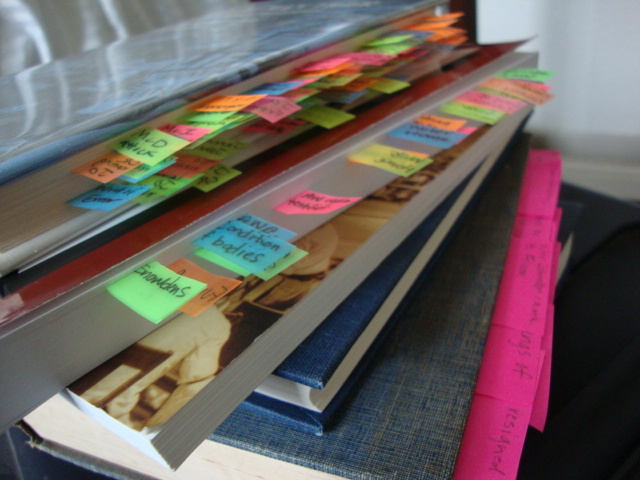 Categories: Research | Tags: labels, organizing, Post-Its, Prison Life is Different, research, writing | Permalink.